Artificial Intelligence and Machine Learning are key tools for businesses in the journey to digital transformation. Lenovo can accelerate the journey with AI Innovation Centers as well as a portfolio of offerings, software and solutions. Sixty-four percent of IT decision makers believe their future depends on large-scale AI adoption. The amount of business that more nimble AI-enabled companies will take from less informed peers is expected to top $1.2 trillion. Yet most leaders struggle to articulate how AI will benefit their specific operations. At Lenovo, we believe that Machine Learning and Artificial Intelligence are key tools for businesses in their journey to digital transformation. In other words, AI is not a destination, but rather an enabler that can help customers get to more efficient and agile enterprises. While the sense of urgency in adopting AI is mounting, enterprises are challenged with: how to get started on AI applications; what hardware and software platforms to employ both for prototyping and for deployment; and how to steer through the complexity in designing end-to-end systems. Lenovo is taking a practical approach to helping enterprises understand and adopt the benefits of Machine Learning and AI for their workloads. 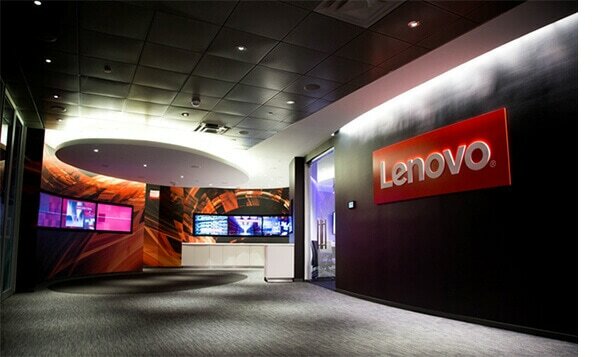 Our customers have an opportunity to collaborate in Lenovo AI Innovation Centers to understand the value for their particular use case through Proof of Concepts, choose the right solution development platforms that are ready-to-use and optimized for AI, and deploy solutions to improve time to value. Whatever your idea, and whatever your industry, Lenovo can help accelerate your machine learning project. With the Lenovo AI Innovation Centers, customers can gain access to the right experts to consult on projects, the right infrastructure to be able to run a Proof of Concept, and prove out the ROI of projects prior to deployment. For more information about the Lenovo AI Innovation Centers or to book an engagement, please contact your Lenovo representative or Business Partner. 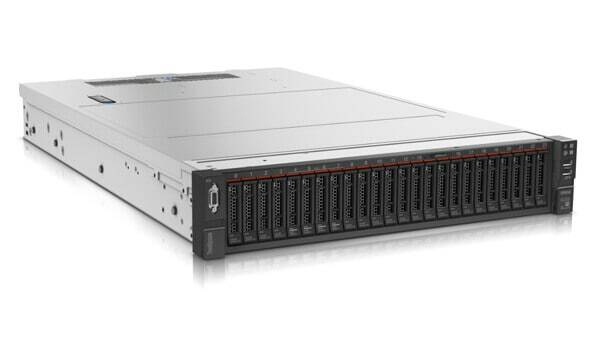 The Lenovo ThinkSystem SR670 delivers optimal performance for AI and HPC workloads while maintaining a low total cost of ownership. The SR670 allows up to four GPUs per 2U node and is suited for computationally intensive workload requirements for both Machine Learning and Deep Learning. 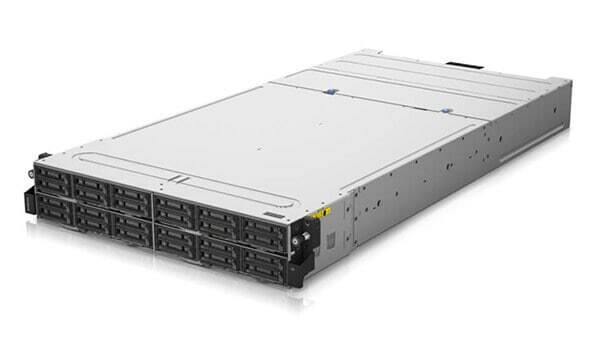 The highly agile ThinkSystem SD530 is a modular 2U/4-node system that excels at both HPC/AI and enterprise workloads—on the same platform—to increase flexibility while reducing costs. Now with the added feature of a dual GPU expansion tray that allows greater compute density in a small footprint, with four CPUs and four GPUs in a 2U enclosure. 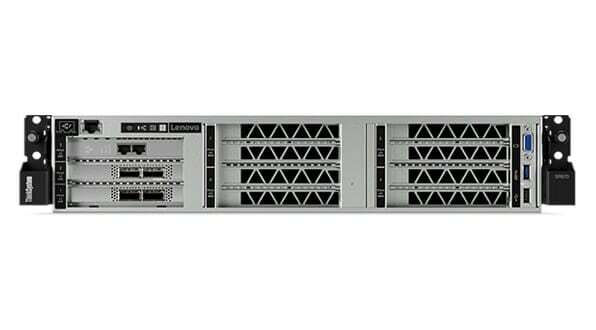 Lenovo ThinkSystem SR650 is a 2-socket rack server designed for speed and expansion, with flexible storage and I/O, and capacity for up to two GPUs, coupled with the industry’s #1 reliability for business-critical workloads. The ThinkSystem SR650 is built for performance with high end CPUs, GPUs , and NVMe storage in a 2U server. Lenovo intelligent Computing Orchestrator (LiCO) software stack simplifies AI deployment in an enterprise environment with an intuitive interface for managing AI workloads with a distributed cluster. Easily scale out your Machine Learning and Deep Learning on NVIDIA GPUs and Intel architectures with LiCO software and the latest ThinkSystem servers.